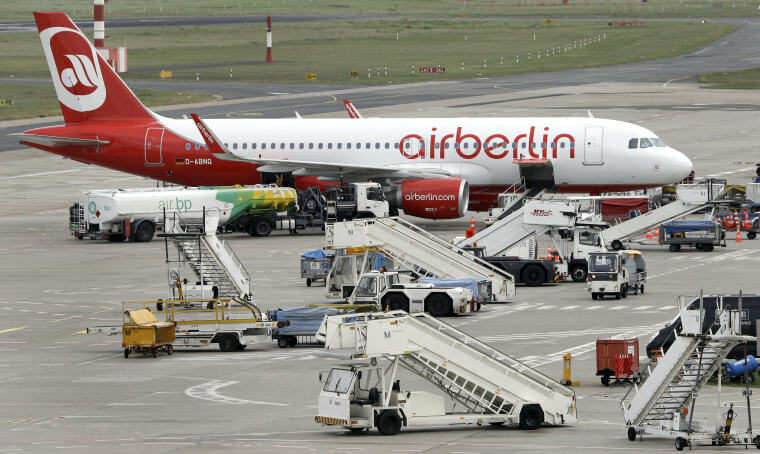 BERLIN — The pilots of an Air Berlin flight that performed a fly-past during the insolvent carrier's last long-haul flight to its hub in Dusseldorf have been suspended, the airline said on Wednesday. Pilots are trained in such "go-around" procedures for aborted landings, but the maneuver was unusual and the German aviation authorities are investigating. "In aviation, safety always comes first. We are taking the incident very seriously," an Air Berlin spokesman said. "We wanted to make a mark, a dignified and emotional goodbye," the Air Berlin pilot was quoted as saying by German broadcaster ZDF. His identity was not given. Another pilot for a different carrier told Reuters that a go-around should be performed only for operational or safety reasons. "Electing to do one if it is known not to be required adds an unnecessary risk," he said. Several videos of the incident can be viewed online. In one, control tower staff can be heard exclaiming as the plane flies past, with one person saying: "We are all in awe."